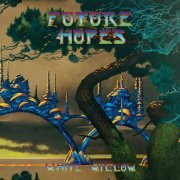 White Willow are one of the later entrants to the, er, 'New Wave of Scandinavian Prog', along with the (relatively) extremely successful Flower Kings. 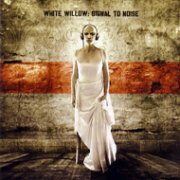 Whereas Änglagård's music could be described as 'wintry', on Ignis Fatuus, White Willow are more 'autumnal'; mostly gentle, folk-influenced progressive rock, with much use of acoustic instrumentation and female vocals. There's also a fair chunk of Mellotron, Moog and Taurus pedals thrown in among the (real) flutes and cellos, so, rather like '70s Italian proggers Celeste, they mix the old and the, er, not so old to excellent effect. While much of the album has a somewhat gloomy feel, there are also many upbeat moments, notably Now In These Fairy Lands, with its strummed acoustic guitar and organ interjections, while Song has a distinctly medieval feel to it, using what sounds like period instrumentation. Jan Tariq Rahman's Mellotron use on the album is subtle and distinctive, mainly flutes and strings, with little bits of cello and choir here and there. There are both real flutes and cellos used, too, so the 'Tron flute single lines could be considered a little eccentric, but they work well, so who's complaining? The best description I can come up with for their Mellotron use is 'understated'; never over-used, but appearing often enough to stamp its personality on the album. 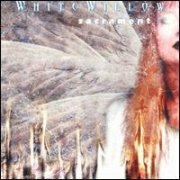 It took White Willow three years to come up with another album, Ex Tenebris, in which time the band had only become quieter (!). Still very autumnal, there's hardly any percussion at all, although its predecessor isn't exactly drum-heavy... Otherwise, the mix is similar to Ignis Fatuus, with more Mellotron strings, less cello and choir and even less electric instrumentation overall, the chief exception being lengthy closer ...A Dance Of Shadows. 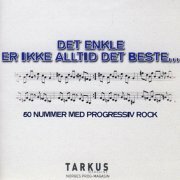 Incidentally, Änglagård's Mattias Olsson plays on the album, while his partner, Pineforest Crunch's Åsa Eklund sings on one track. 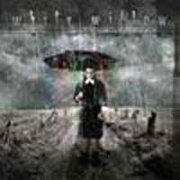 2000 brought a third White Willow album, Sacrament, although there appear to have been some lineup changes, with Jan Tariq Rahman no longer part of the organisation. Possibly as a result, there's far less 'Tron to be heard, although by and large, the music keeps up the standard set by their first two releases, although in places, it's noticeably heavier, with more guitar and drums than before. Opener Anamnesis is probably the best track, although there's some excellent classical guitar work on The Crucible. 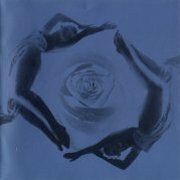 As far as the 'Tron's concerned (actually from guitarist Jacob Holm-Lupo), The Crucible and Gnostalgia have some ethereal choir work, while the strings are finally used (albeit briefly) on excellent closer The Reach. So, less of a Mellotron Album than its predecessors, but still a worthy release. After another lengthy wait, 2004's Storm Season is a complete return to form for the band (not that there's anything wrong with its predecessor), consisting of a mixture of the gentler style they showcased on their first two releases and the heavier aspects of Sacrament. Unlike Sacrament, though, the album is stuffed with 'Tron, with new man Lars (Fredrik) Frøislie (also of Wobbler) getting some in on every track. The album opens with solo (real) flute, quickly replaced by a Mellotron flute arpeggio, followed by a choir part, setting the tone for the rest of the record. Plenty of strings, too, again sometimes alongside real ones, making this yet another essential purchase. 2006's Signal to Noise matches the quality of its predecessor, while possibly appealing more to the 'mainstream' prog crowd, getting a decent review in the UK's 'Classic Rock' mag (not the magazine of Rotherham's Classic Rock Society, before any of you complain), usually fairly clueless when commenting on the modern progressive scene. Excellent material across the board, with Joyride even managing to sound quite 'pop', while keeping up the quality. A fair bit of 'Tron from Mr.Frøislie again, with a brief string part on opener Night Surf, while Splinters features a polyphonic flute part and a great, Crimsonesque strings pitchbend later in the song. The weird little 'stabbed' string chords in Joyride work surprisingly well, and aren't completely obscured by key-click (a sign of a well-set up and maintained 'Tron), with cellos later in the song, while the album's first 'Tron choirs appear in The Lingering, along with some unusually background strings. The Dark Road contains probably the album's most upfront strings part, plus what sounds like a speedy 'Tron viola at the end, key-click intact, with almost solo flutes in Chrome Dawn, making for a subtly satisfying Mellotronic listen on a high-quality progressive release. After a five-year wait, 2011's Terminal Twilight doesn't disappoint, highlights including the dreamlike Kansas Regrets, Natasha Of The Burning Woods and the lengthy Searise, although there isn't a duff track here, assuming you don't have a problem with female vocals on a prog album (you'd be surprised...). The band prove that they're unafraid to take risks (or what counts for them in the progressive world) with the programmed rhythms on opener Hawks Circle The Mountain and Snowswept, while Mattias 'Änglagård' Olsson's drumming is incendiary throughout. Mellotron/Chamberlin on every track (I'm afraid I still have trouble telling the difference), played by Frøislie and Olsson, notable parts including what may well be female choirs in Red Leaves, violently pitchbent strings in Floor 67, the unusual, echoed single-note flute part that opens Natasha Of The Burning Woods (the flutes are heard on several tracks, quite distinct from the real one) and the cello/flute duet on Searise. 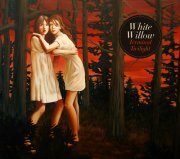 I think it's safe to say that if you like White Willow's other post-millennial albums, you'll like this. After another long wait, the six-year gap between Terminal Twilight and 2017's Future Hopes seems to have paid off. Once again, a stylistic shift, with Opium Cartel's Venke Knutson's light, ethereal voice bringing a slightly more mainstream feel on the vocal front, while Frøislie's Yamaha CS80 (think: Vangelis), with its unique, glassy textures, adds a new dimension to their sound. Top tracks? I'm undecided about the opening title track, but the gentle Silver And Gold and In Dim Days are both pretty damn' good, although my personal favourite of the 'core' album's five tracks is eighteen-minute closer A Scarred View, almost a microcosm of the album as a whole. 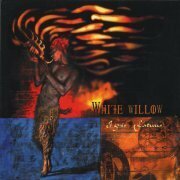 Vinyl nuts may gnash their teeth, but two of the CD/download version's strongest tracks are the bonuses: the band's own piano-led Damnation Valley is superb, but their brilliant re-imagining of The Scorpions' Animal Magnetism, complete with klezmer clarinet, has to be heard to be believed. Mellotron and Chamberlin from Frøislie and Holm-Lupo, but less of both than before, to the point where I'm not even entirely certain that the few seconds of strings towards the end of the title track are even that. Anyway, more strings, plus occasional cellos and choirs, on In Dim Days, with a strings/cello intro on Where There Was Sea There Is Abyss, strings, flutes and choirs on A Scarred View, pitchbent strings on Animal Magnetism and choirs on Damnation Valley. I suspect Future Hopes will take several careful listens before it really sinks in, but who needs instant gratification? So; seven excellent albums that grow on you with repeated listening, not to mention plenty of Mellotron (on all but Sacrament), with the potential to be considered classics. For all but the most neo- of progressive fans (shame on all of you! ), these are pretty essential. Buy. 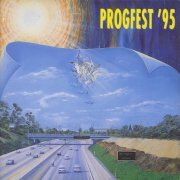 Incidentally, the band also contributed to Musea's Progfest '95 double disc celebration of that year's festival, with excellent versions of Lord Of Night and Cryptomenysis from their debut. Cello and choir parts on the former and a brief burst of strings on the latter are worth hearing, though rather lesser than on the studio versions. Amazingly, the band's appearance at NEARfest a few years later (not officially available) featured no Mellotron whatsoever, even in sampled form, leaving large gaps in their sound. Odd.